We meet in Stockholm in the morning and after a 40min ride we reach Stavsnäs where we board a taxi-boat to the island of Runmaro. Count 1h for the transport. 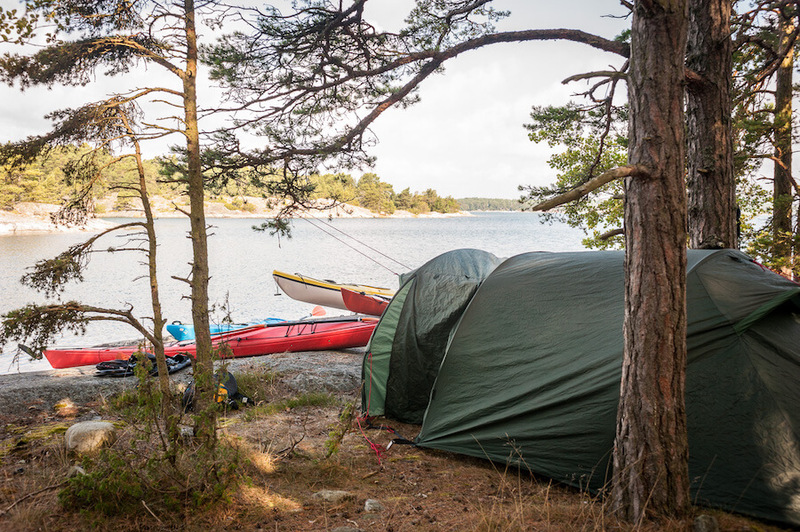 We start getting ready once we arrive at our base on the island and go through some safety rules that apply in kayaking and then we get onboard our kayaks and start our discovery of one of the nicest part of the archipelago. We’ll paddle through a multitude of islands, wild or occupied by lovely wooden houses that make the charm of Sweden. You’ll progress at your own pace while following and listening to your guide. You’ll be able to take pictures from your kayak. Hopefully we’ll be able to spot some animals on some islands! We will stop on a well-chosen island to reload the batteries with a freshly prepared picnic. Nothing is easier than to take a dip in the Baltic Sea for those who want! The sea temperature easily reaches 20 C in this part of the archipelago during summer. We will return to our kayaks when you decide and paddle to the island where we will spend the night. We will reach it around 16-17, which leaves us time to enjoy the long Swedish evening on the island. The island is inhabited by a couple who takes care of the museum, a few sheep that are free and some rooms they rent. It is located at the eastern end of the archipelago. There are toilets and a small kitchen. We will prepare a barbecue for dinner that we will eat in the open air while watching the sun setting slowly. In summer, the sun sets around 22-23h. We’ll slowly return to our starting base after a good Swedish breakfast. We will paddle around the island where we slept and take a different route than the 1st day to discover new islands and landscapes. We will stop on a small island around noon to eat lunch and maybe enjoy a last dip in the sea. We will be back at our base around 15, and then go back to Stockholm by taxi boat and bus (or car).